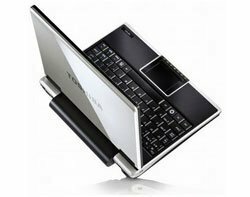 Nvidia is working with Microsoft to develop a £200 version of its Ion laptop running Windows Vista Home Edition. Although manufacturers originally aimed to sell netbooks as low-cost, very limited mobile devices, primarily for web browsing and e-mail, the machines have proved fully capable of running business software and even some multimedia applications. Linux has become the preferred operating system for netbooks because it is free and can be trimmed down to work on low-powered devices. This has led Microsoft to extend the life of Windows XP, which requires less powerful hardware compared with Vista. Recent developments in processing power and storage mean netbooks are now able to run Windows Vista. Microsoft has validated Nvidia Ion with certified Windows Hardware Quality Labs (WHQL) drivers for Windows Vista Home Premium. Nvidia’s Ion-based PCs are expected to ship by the summer.